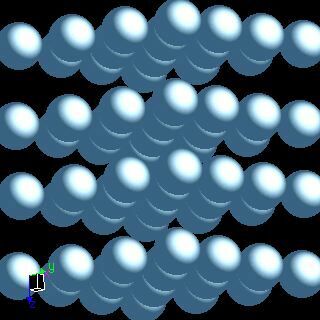 Titanium atoms have 22 electrons and the shell structure is 2.8.10.2. The ground state electronic configuration of neutral titanium is [Ar].3d2.4s2 and the term symbol of titanium is 3F2. Titanium: description Your user agent does not support the HTML5 Audio element. Titanium s a lustrous, white metal when pure. Titanium minerals are quite common. The metal has a low density, good strength, is easily fabricated, and has excellent corrosion resistance. The metal burns in air and is the only element that burns in nitrogen. 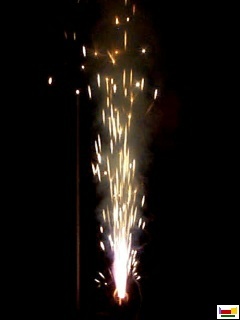 It is marvellous in fireworks. Titanium is resistant to dilute sulphuric and hydrochloric acid, most organic acids, damp chlorine gas, and chloride solutions. Titanium metal is considered to be physiologically inert. Titanium is present in meteorites and in the sun. Some lunar rocks contain high concentrations of the dioxide, TiO2. Titanium oxide bands are prominent in the spectra of M-type stars. The result from adding titanium powder to a burning mixture of potassium chlorate and sucrose (only to be demonstrated by a professionally qualified chemist). The solid state structure of titanium is: bcc (body-centred cubic). Titanium has no biological role. The metal is regarded as hypoallergenic. Reactions of titanium as the element with air, water, halogens, acids, and bases where known. Binary compounds with halogens (known as halides), oxygen (known as oxides), hydrogen (known as hydrides), and other compounds of titanium where known. Bond strengths; lattice energies of titanium halides, hydrides, oxides (where known); and reduction potentials where known. Titanium was discovered by William Gregor in 1791 at England. Origin of name: named after the "Titans", (the sons of the Earth goddess in Greek mythology). 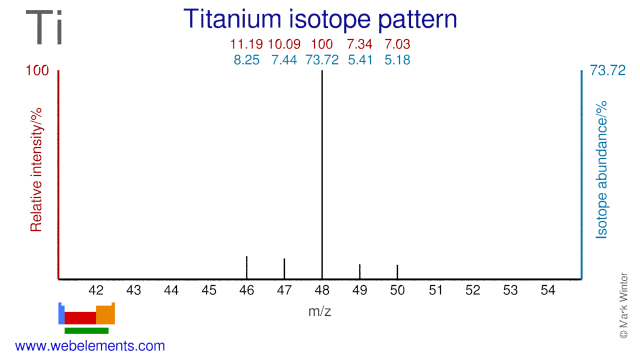 Isotope abundances of titanium with the most intense signal set to 100%. Isolation: titanium is readily available from commercial sources so preparation in the laboratory is not normally required. In industry, reduction of ores with carbon is not a useful option as intractable carbides are produced. The Kroll method is used on large scales and involves the action of chlorine and carbon upon ilmenite (TiFeO3) or rutile (TiO2). The resultant titanium tetrachloride, TiCl4, is separated from the iron trichloride, FeCl3, by fractional distillation. 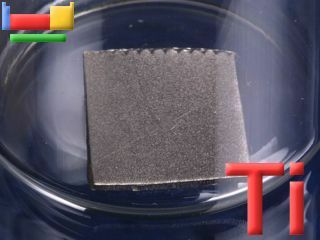 Finally TiCl4 is reduced to metallic titanium by reduction with magnesium, Mg. Air is excluded so as to prevent contamination of the product with oxygen or nitrogen. Excess magensium and magneium dichloride is removed from the product bytreatment with water and hydrochloric acid to leave a titanium "sponge". This can be melted under a helium or argon atmosphere to allow casting as bars.